The Directorate-General for Employment, Social Affairs and Inclusion is leading a process to update the European Code of Good Conduct for Microcredit Provision. What is the European Code of Good Conduct for Microcredit Provision? The European Code of Good Conduct for Microcredit Provision (Code) was established following the adoption of the Communication on microcredit by the European Commission in November 2007. 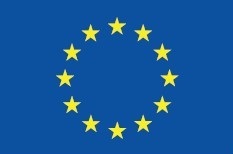 The Code provides a common set of ethical standards in terms of management, governance, risk management, reporting, and consumer and investor relations for the microfinance sector in the European Union for the benefit of customers, investors, funders, owners, regulators and partner organisations. The Code is an integral part of the EU Programme for Employment and Social Innovation (“EaSI”) Microfinance and Social Entrepreneurship axis. Signing-up to, or endorsing, the Code is a pre-condition for accessing EU funding for microfinance under the EaSI programme. Why the Code is updating? The European Commission’s Directorate-General for Employment, Social Affairs and Inclusion tested the implementation of the Code as part of a pilot phase between the end of 2013 and early 2017. Based on the lessons learnt, the Code will be updated in order to reflect evolving market realities and encompass the full diversity of the microfinance space and its actors. The Directorate-General will lead, in close cooperation with the European microfinance sector, the update of the Code. This process is expected to be carried out over the next 12 months. In principle, changes will be kept to a minimum, so as to ensure continuity and with the purpose of enabling practices rather than setting restrictions. In January 2018 the Microfinance Centre initiated a working group (which included MFC members: Adie, Agroinvest, BCRS, good.bee as well as Microfinanza and independent consultant Micol Guarneri) concluded its work in May and submitted recommendations to the DG based on practitioners knowledge and experience. As a non-bank microfinance institution, how does it affect me? The current version of the Code will apply until the update process is finalised. Nonetheless, a transition period is foreseen for microfinance institutions that are in the process of implementing the Code or being evaluated. The Code certification is valid for three years. This means that microfinance institutions which have already been certified will only have to comply with the updated Code once their certification expires. The Directorate-General is looking forward to closely working with the European microfinance sector to reinforce the Code for the benefit of customers, investors, funders, owners, regulators and partner organisations.